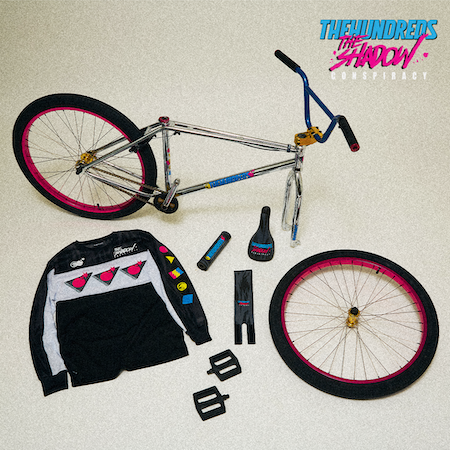 Everyone needs a bike to roll around on when they’re not on a group ride, racing off road, or training for the Olympics, and The Shadow Conspiracy and LA streetwear kings The Hundreds have created just the right 26 inch BMX bike for doing that. 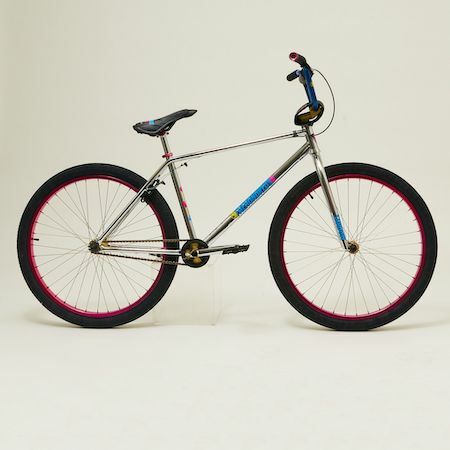 The one-of-a-kind bike comes with an old-school drop nose seat adorned by a sublimated custom graphic and retro-inspired pad set. This bike isn’t just a looker, built with the guts and glory of The Shadow Conspiracy proprietary custom parts, including their signature Shadow Chain. The bike, along withmatching jersey, tees, pullover, and hat, to go along with it, will be released tomorrow, March 28, 2019. If you want to check it out, roll by The Hundreds on Fairfax in Los Angeles at 5:30 PM for an “LA Mash” to Lock & Key on Vermont. For all the details, follow the jump. The Shadow Conspiracy’s bloody, brutal, black-and-blue motif have been a staple of the brand since the beginning and show how many times you have to fall before you stomp it and achieve success. While the bike collaboration focuses on brighter colors and shiny chrome, Shadow’s attitude still shines through on the collection of clothing and accessories being released alongside it. The limited edition capsule features a collaborative jersey made of moisture-wicking coolmax mesh, as well as a dual-branded graphic T-shirt, pullover hoodie, and snapback.